Gary Dauberman is an American screenwriter. He is best known for writing The Conjuring Universe spin-off horror films Annabelle, Annabelle: Creation, The Nun, and Annabelle Comes Home, which he also co-wrote the 2017 film adaptation of It, based on the novel of the same name by Stephen King. Dauberman attended Delaware County Community College for two years before transferring to Temple University, where he graduated in 2002. He is a devout Christian. ^ Staff, Hollywood.com (2015-02-03). "Gary Dauberman | Biography and Filmography". Hollywood.com. Retrieved 2017-09-28. ^ "[Interview] Screenwriter Gary Dauberman – Annabelle: Creation – Horror Movie News and Reviews". Horror Movie News and Reviews. 2017-07-28. Retrieved 2017-09-28. 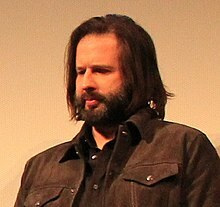 ^ "Biography for Gary Dauberman". Turner Classic Movies. Retrieved 2017-09-28. ^ Herald, The Gospel (2017-08-09). "Christian 'Annabelle: Creation' Writer On Why Horror Flick is 'Faith Based Film' (Exclusive Interview)". Breaking Christian News: World, Business, and More | The Gospel Herald. Retrieved 2017-09-28. ^ McNary, Dave. "It Sequel Moves Forward With Gary Dauberman". Variety. Retrieved 17 September 2017.